Need help? Compare all five Nature's Sunshine probiotics in this simple chart. We refrigerate all probiotics in our warehouse and we recommend you do too. 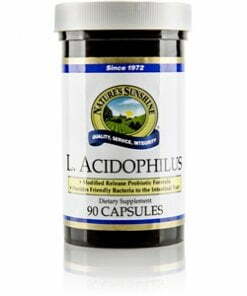 Nature’s Sunshine L. Acidophilus, Milk-Free is a non-dairy version of lactobacillus acidophilus, a symbiotic homo-fermentative, lactic acid-producing microorganism. 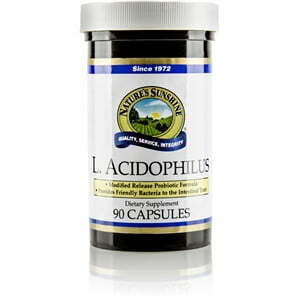 Acidophilus supports intestinal health by providing friendly bacteria. Because the formula is dairy-free, it is suitable for vegetarians or those with dairy allergies. Acidophilus keeps best in a freezer or refrigerator.